A 1-day-old neonate undergoing genitourinary workup. 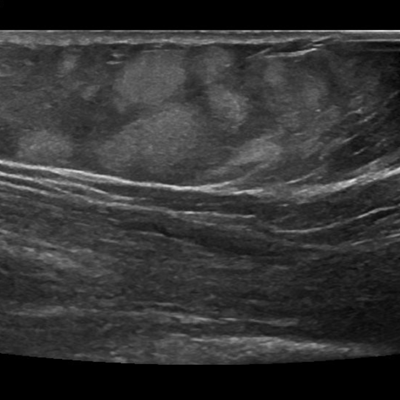 A 39-year-old woman with right leg pain and calf swelling and edema. 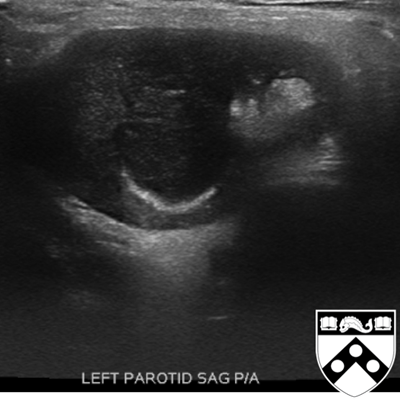 A 49-year-old woman with multiple echogenic foci of the liver. 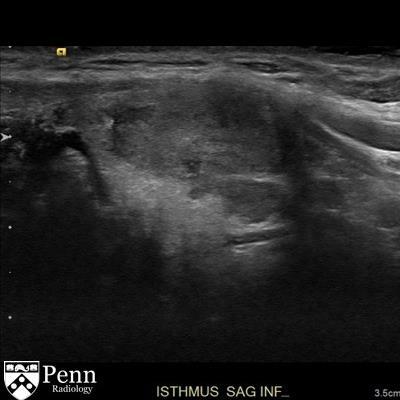 A 26-year-old woman with intermittent chest tightness, dyspnea, and jugular venous distension that have been worsening for the last year. 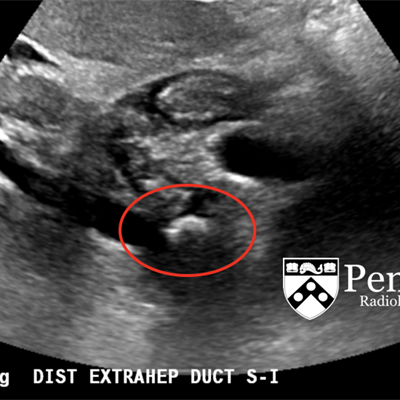 A 59-year-old man with frequent urination, weak urine stream, and a persistent feeling of having to urinate. 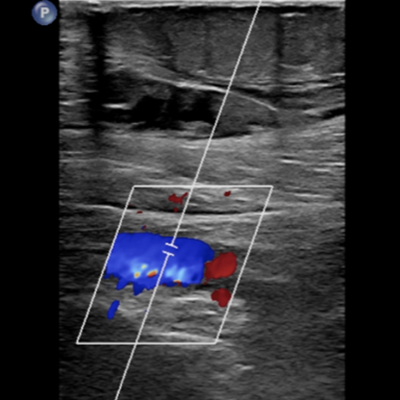 Patient presents with flank pain. A man presents with jaundice and abdominal distention. 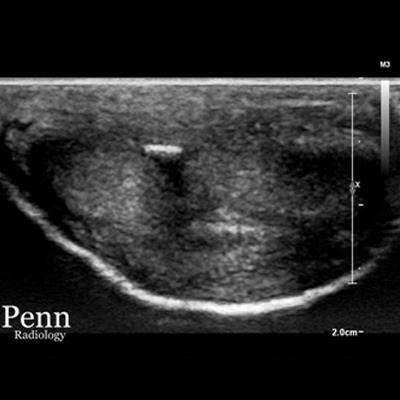 A 50-year-old man with a palpable penile mass. 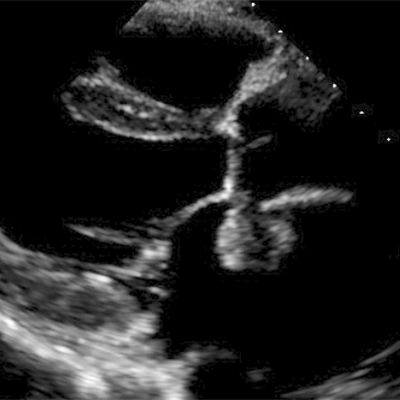 A 64-year-old man with epigastric pain, nausea, and vomiting. 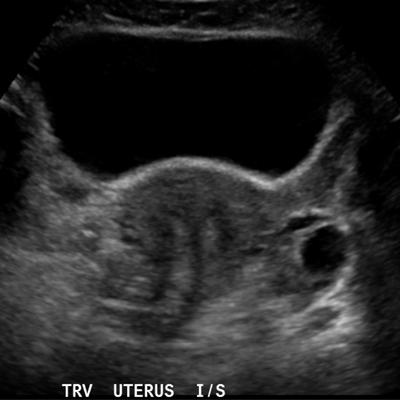 A 30-year-old woman with difficulty childbearing undergoing fertility workup. 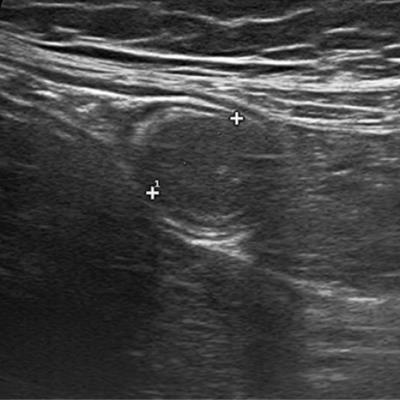 A 62-year-old woman with a chronically painful lump in the upper right arm. 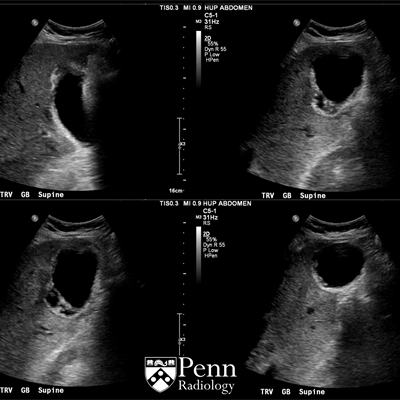 A 53-year-old man presents for follow-up of an incidental thyroid nodule seen on CT.
A 40-year-old woman with right lower quadrant and right lower back pain for the past two days. 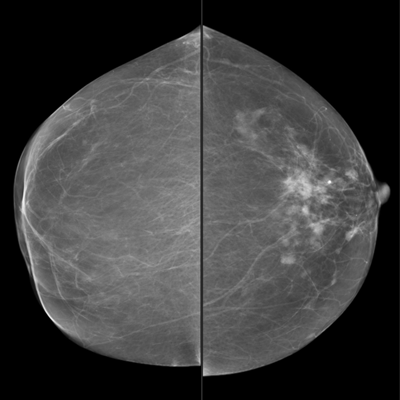 A 74-year-old woman presents for routine screening mammography. 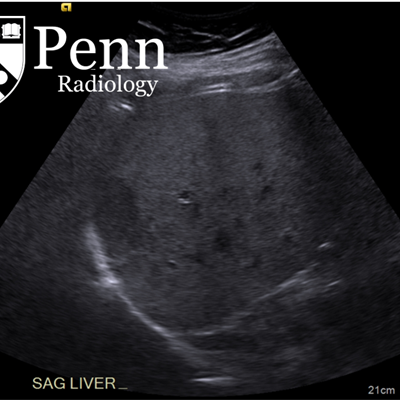 A 71-year-old man with sudden, severe nausea, vomiting, and epigastric pain after eating. 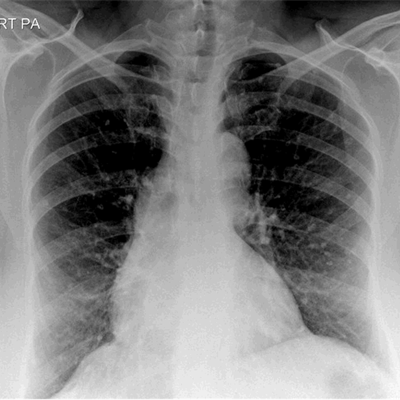 A 76-year-old woman with malaise and increasing shortness of breath for the last four months. 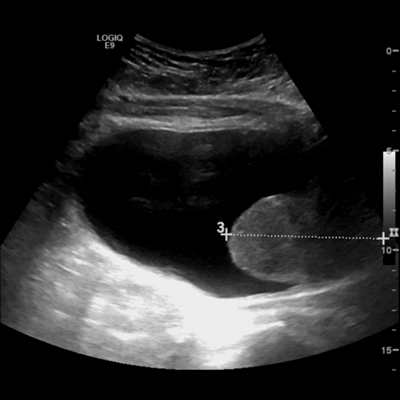 A 59-year-old man with hepatitis C and cirrhosis undergoing hepatic screening. A 65-year-old man with left facial swelling for the past several days. Man presents with a history of weight loss.